Pietro Solario was born in Carona, Ticino, he apprenticed under his father Guiniforte Solari, who himself was an architect and sculptor. In 1476, he was hired to continue the construction of the Duomo di Milano. 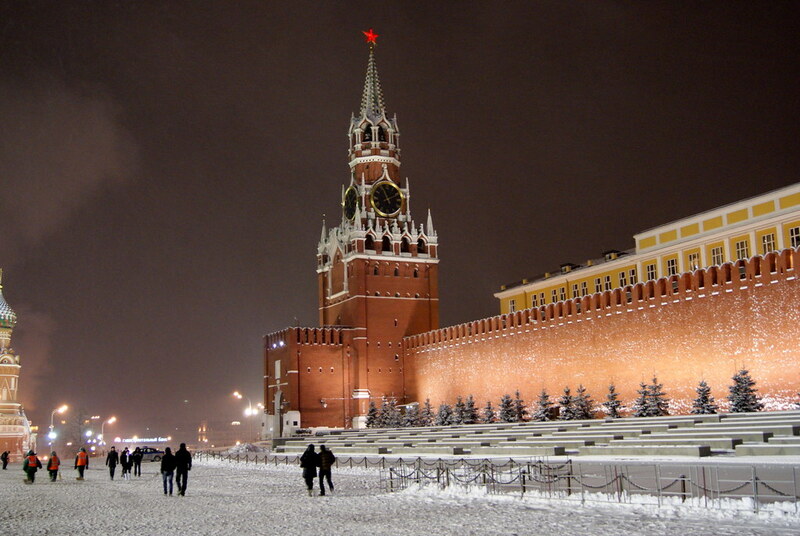 In 1487, he was invited to Russia by Ivan III to construct the walls and towers of the Moscow Kremlin. 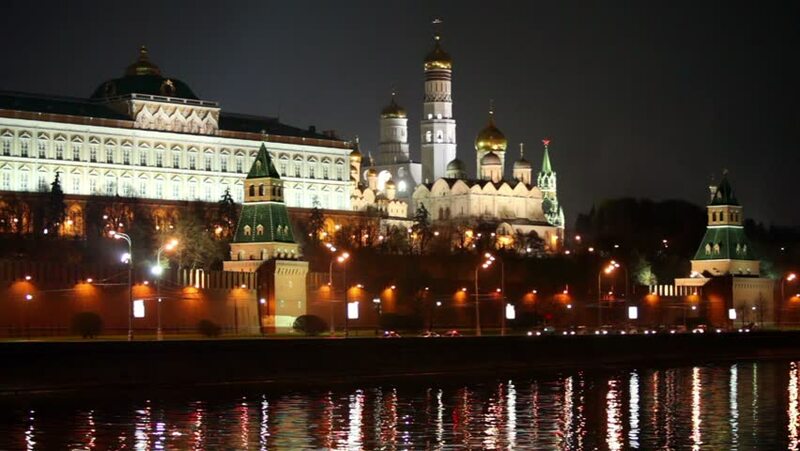 Within the next two years, Solari built most of the walls (excluding the western wall built by his successor Aleviz) and towers of the Kremlin, including the Borovitskaya, Konstantino-Eleninskaya, Spasskaya, Nikolskaya, & Corner Arsenalnaya towers (Dear Lord what tongue twisters). Concepts & ideas were used which were similar to those in Italy. Now, not much is said about Marco ruffo except that he was Italian who helped Pietro in the construction of the Palace of Facets. Will you have a look at this my dearies ! The name of this palace is because of its unique east side, the stones of the exterior wall are cut, shaped & pointed like diamonds. The entry door shows a magnificent gilded frame. Elegant double set windows are on three sides of the palace which illuminate by letting in light. Love the simplicity of the exterior colour. The walls are covered in archaic paintings which one finds unbelievable & contemplates whether someone used their own hands to do this fine art. There lies the Imperial Throne. 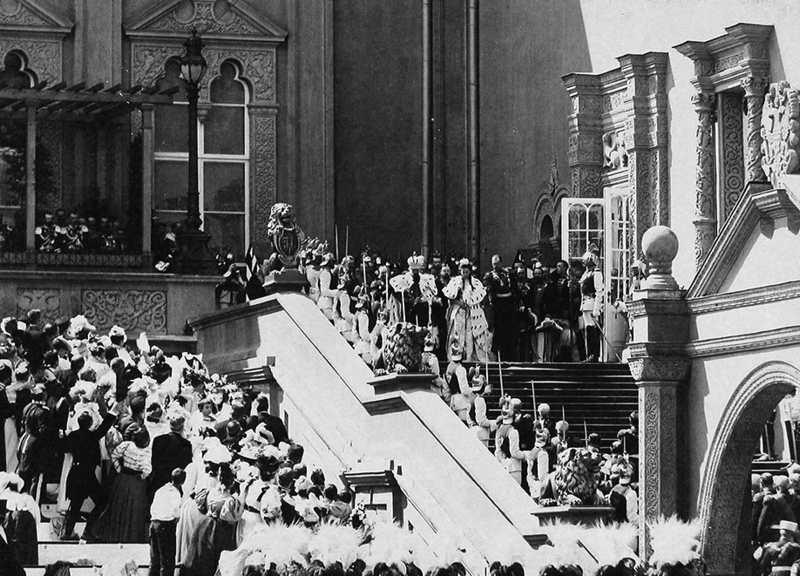 The palace was referred to as “The Great Palace” during the first year after being completed. In 1552 Ivan the Terrible celebrated the taking of Kazan in the Palace of Facets. The council regarding the annexation of Little Russia was held here and Peter the Great celebrated the victory of Poltava here. 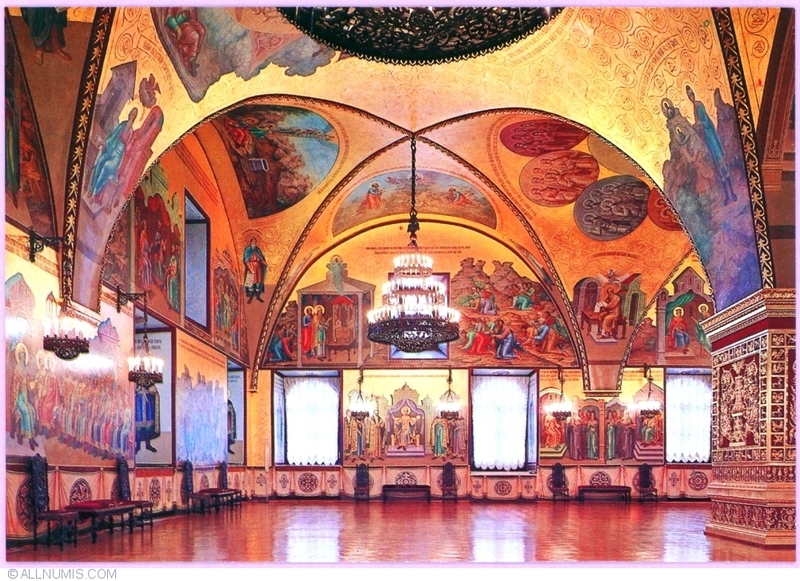 Since the 19th century the Palace of Facets has served as the dining hall for the Tsar after the coronation ceremonies. The Imperial Throne here has always remained in the same place. Wooden banquette’s are placed on platforms along the entire length of the walls of the hall, and are upholstered in multicolored fabric with gold fringe along the bottom. 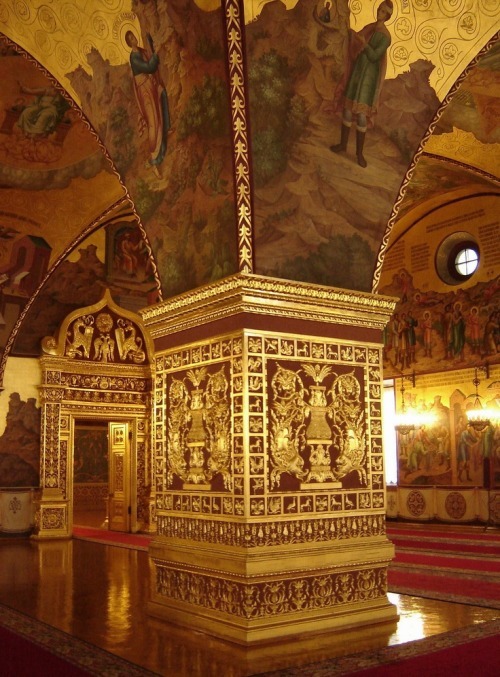 Around the central pillar there is a sideboard with four shelves, which during the Imperial stay, in accordance with the ancient tradition, hold lavish vessels in gold and silver, which are otherwise usually kept locked in the Armory Palace. Eighteen windows of differing sizes and different forms light the hall from three sides. Four massive chandeliers and eight hanging lamps are lit at night. On the vaults are portrayed the Days of Creation, Paradise and Man chased out of the earthly Paradise. Next to the Imperial Throne one sees the Dream of the Prophet Daniel (Pbuh) & Jacob’s Ladder. (It looks absolutely stunning). – On the south wall, Moses (Pbuh) and the bulrushes. 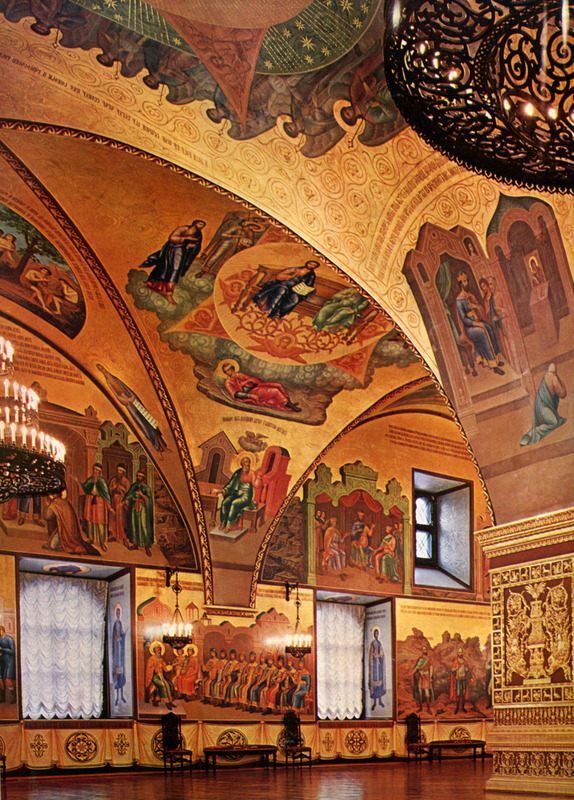 – Painted on the Vaults, the Patriarchs of the Old Testament, the Evangelists and the Prophets. – On the North and East walls are painted the story of Joseph. 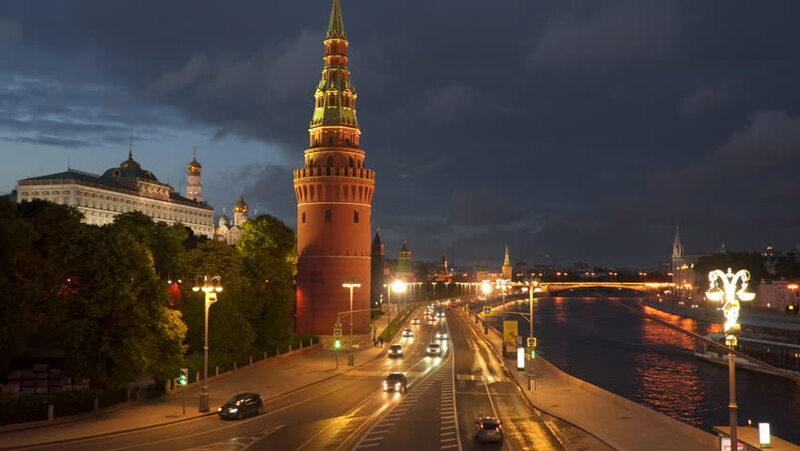 Closer to the throne, above, as well as on the South wall below shows the history of Russia. Above, on the arches of the vaults, Moses in front of the arch of alliance, David accused by the Prophet Nathan, King Solomon in the Temple. – On the West wall, the Parables, one of the Justice of Solomon and the other the Punishment of the iniquitous judge.